A flashlight is one of those tools that you might never think you’d need until you do. 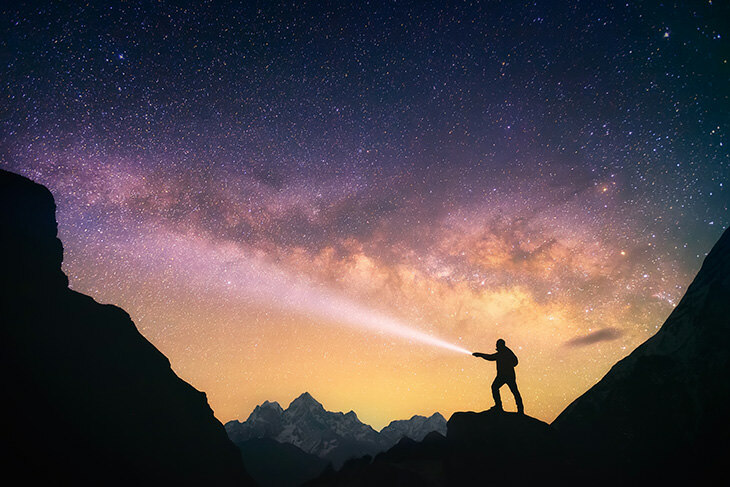 Then, when you’re trying to find a keyhole, rummaging in a dark attic, or walking at night, you would make a mental to-do list on buying a good flashlight. Then you forget and find yourself in the dark again, helplessly trying to brighten a dark room with your smartphone’s LED flash. We’ll help you decide now – Get a flashlight. So, if you’re looking for a flashlight that performs the way it should without any extraneous weight, that also rates fairly well, and disappears in your pocket, then the best AAA flashlight will be perfect for you. The Streamlight Protac is a real tactical torch in miniature. Dual-AAA batteries power the Protac to a bright 80 lumens when you turn it on via a click switch at its tail end. Additionally, you can switch the Protac among three options: high and low energy settings and a strobe feature. The high settings will give you the 80 lumens for 1 hour and 30 minutes over a throw distance of 80 meters. On the other hand, the energy-saving low settings will give you a 10-lumen beam that will last more than 24 hours at a distance of 28 meters! A single AAA battery powers the compact Streamlight Microstream at a run time of 2 hours and 15 minutes. Additionally, at 3.5 inches long and less than 1.1oz in weight, The Microstream will make you forget the days when you would carry around a heavy D-cell. Despite its size, this torch throws a 52-meter beam at 28 lumens. Moreover, a handy clip on the flashlight means you’ll be able to attach to your hat or pocket! As long as you replace its batteries, the Streamlight Microstream is sturdy enough to last you 30,000 hours and is impact resistant up to a meter. The ThruNite Ti has, undoubtedly, the perfect combination of form and function. 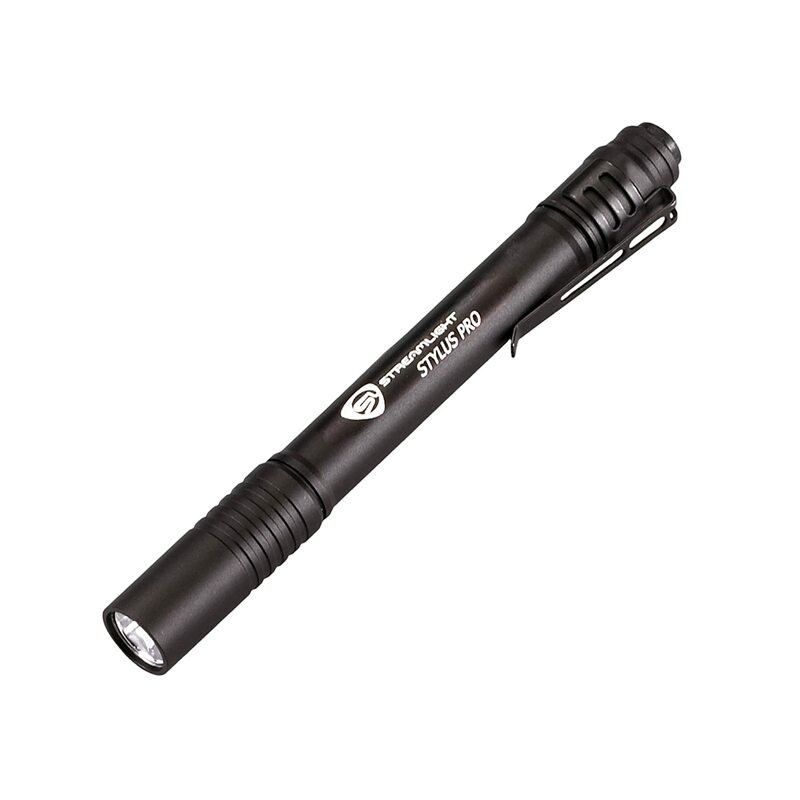 Similar to the first two AAA flashlights on our list, the ThruNite is exceedingly light, measures at a mere 3.5 inches, and runs on a single AAA battery. However, the similarities end there since the ThruNite shines brighter than any of the AAA flashlights on our list at a blinding 162 lumens. Moreover, the LED responsible for this powerful light has a light of over 20 years. The Maglite Solitaire allows you to switch the light’s focus from a broad flood to a long narrow throw at a maximum output of 37 lumens over 50 meters. 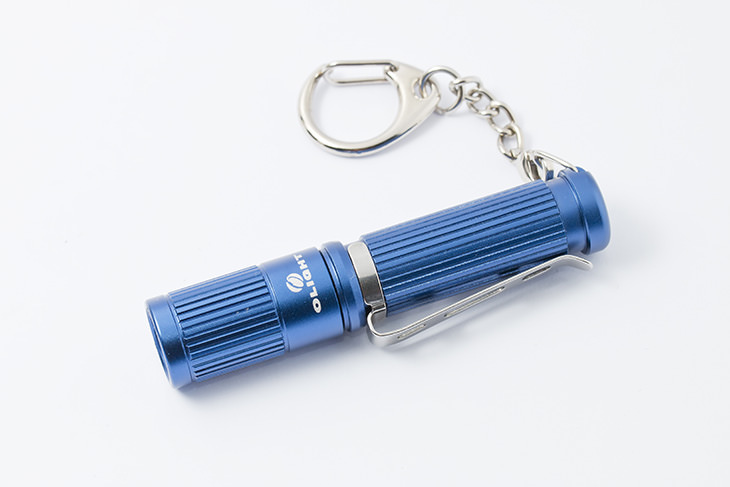 Yet, this powerful single-AAA flashlight can easily disappear in your pocket or keychain with its 3.1inch long frame and 1.6oz weight! 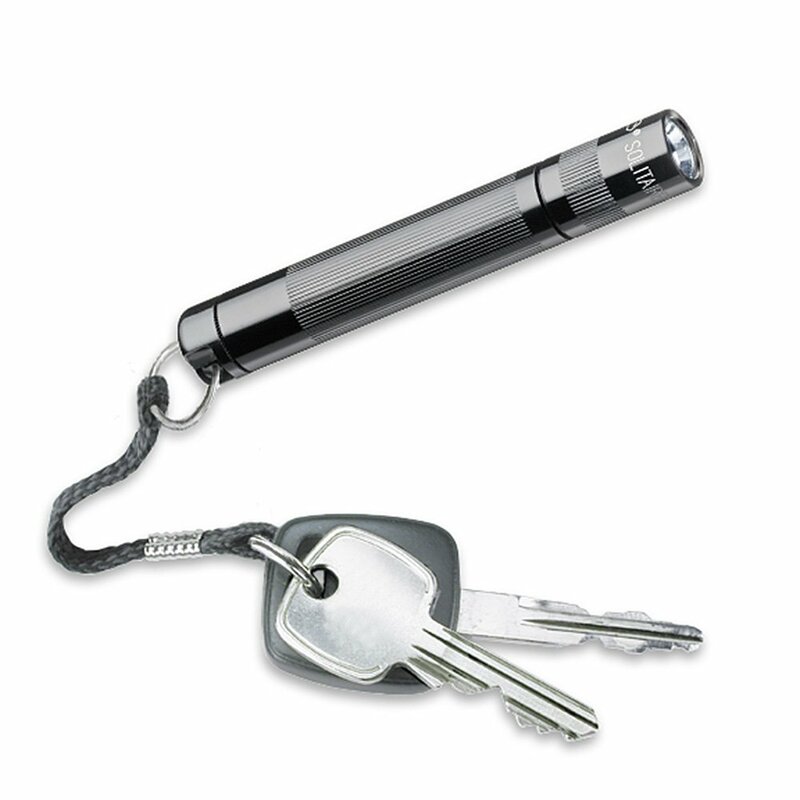 Maglite even assumes that you will use the Solitaire as a keychain by including a short lanyard with the flashlight. 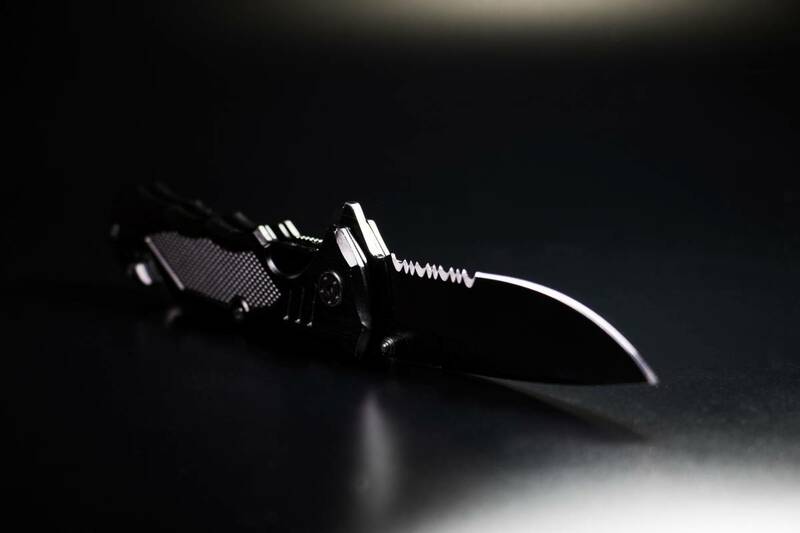 Hence, we’ve compiled the top 5 AAA flashlights for your perusing pleasure as well as a helpful guide about AAA flashlights. Now, take a quick look at the best below. 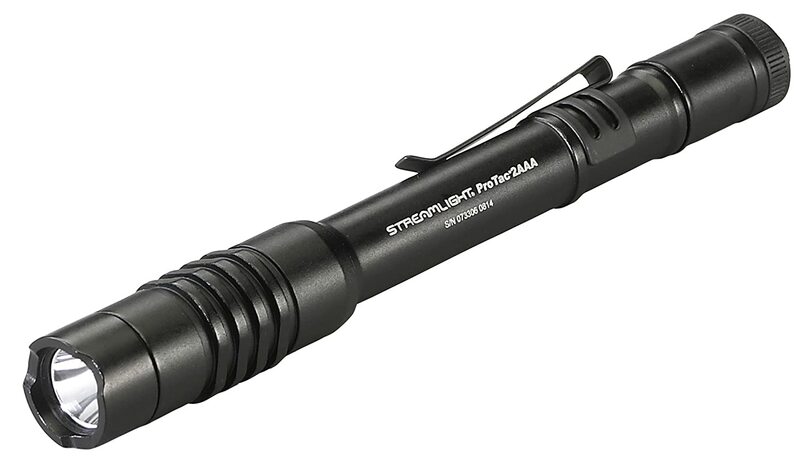 The Streamlight Protac is a real tactical torch in miniature. Dual-AAA batteries power the Protac to a bright 80 lumens when you turn it on via a click switch at its tail end. Additionally, you can switch the Protac among three options: high and low energy settings and a strobe feature. The high settings will give you the 80 lumens for 1 hour and 30 minutes over a throw distance of 80 meters. On the other hand, the energy-saving low settings will give you a 10-lumen beam that will last more than 24 hours at a distance of 28 meters! Adding to its power and efficiency, the Protac is virtually indestructible with an IPX7 rating, water, and abrasion-resistance, and O-ring sealed glass lens. Ultimately, These strengths give you an AAA flashlight that can last over 50,000 hours. 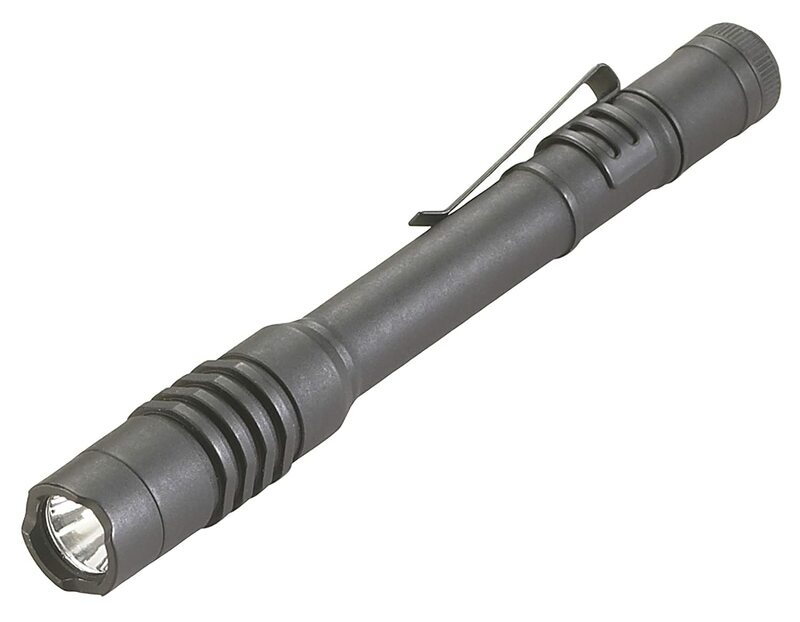 The Streamlight Protac is a real tactical torch in miniature. Dual-AAA batteries power the Protac to a bright 80 lumens when you turn it on via a click switch at its tail end.Additionally, you can switch the Protac among three options: high and low energy settings and a strobe feature.The high settings will give you the 80 lumens for 1 hour and 30 minutes over a throw distance of 80 meters. On the other hand, the energy-saving low settings will give you a 10-lumen beam that will last more than 24 hours at a distance of 28 meters! Also, the switch may be difficult in one-handed operation for small hands. As the Protac focuses on invulnerability, the Stylus Pro leans towards blinding brightness at 90 lumens running for a long 6 hours and 30 minutes. Additionally, the Stylus Pro uses two AAA batteries but manages to keep its weight below 2oz at a length of 5.3 inches. Then, with the click switch, you’ll be able to toggle the strobe option and a standard beam of light that goes over 58 meters in the distance. As the Protac focuses on invulnerability, the Stylus Pro leans towards blinding brightness at 90 lumens running for a long 6 hours and 30 minutes. Additionally, the Stylus Pro uses two AAA batteries but manages to keep its weight below 2oz at a length of 5.3 inches. Then, with the click switch, you’ll be able to toggle the strobe option and a standard beam of light that goes over 58 meters in the distance. The Microstream will make you forget the days when you would carry around a heavy D-cell. Despite its size, this torch throws a 52-meter beam at 28 lumens. Moreover, a handy clip on the flashlight means you’ll be able to attach to your hat or pocket! As long as you replace its batteries, the Streamlight Microstream is sturdy enough to last you 30,000 hours and is impact resistant up to a meter. Additionally, you wouldn’t need to worry about rust since this pen light is corrosion resistant with its aluminum alloy case. Also, the Microstream has an IPX4 water-resistance rating and tightly sealed O-rings. A single AAA battery powers the compact Streamlight Microstream at a run time of 2 hours and 15 minutes. Additionally, at 3.5 inches long and less than 1.1oz in weight,The Microstream will make you forget the days when you would carry around a heavy D-cell. Despite its size, this torch throws a 52-meter beam at 28 lumens. Moreover, a handy clip on the flashlight means you’ll be able to attach to your hat or pocket!As long as you replace its batteries, the Streamlight Microstream is sturdy enough to last you 30,000 hours and is impact resistant up to a meter. The focus is non-adjustable and may lack brightness for some. The ThruNite Ti has, undoubtedly, the perfect combination of form and function. Similar to the first two AAA flashlights on our list, the ThruNite is exceedingly light, measures at a mere 3.5 inches, and runs on a single AAA battery. However, the similarities end there since the ThruNite shines brighter than any of the AAA flashlights on our list at a blinding 162 lumens. Moreover, the LED responsible for this powerful light has a light of over 20 years. Lastly, inside the ThruNite’s titanium-encased body are four different light modes that you can switch through with the click switch at the tail end of the flashlight. The ThruNite Ti has, undoubtedly, the perfect combination of form and function. Similar to the first two AAA flashlights on our list, the ThruNite is exceedingly light, measures at a mere 3.5 inches, and runs on a single AAA battery.However, the similarities end there since the ThruNite shines brighter than any of the AAA flashlights on our list at a blinding 162 lumens. Moreover, the LED responsible for this powerful light has a light of over 20 years. The Maglite Solitaire allows you to switch the light’s focus from a broad flood to a long narrow throw at a maximum output of 37 lumens over 50 meters. 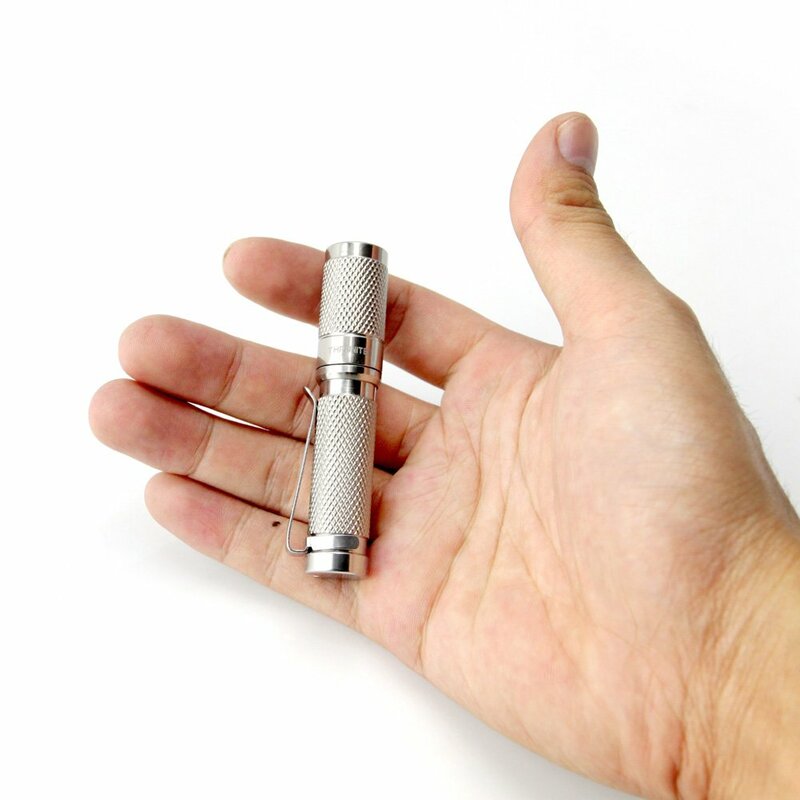 Yet, this powerful single-AAA flashlight can easily disappear in your pocket or keychain with its 3.1inch long frame and 1.6oz weight! Maglite even assumes that you will use the Solitaire as a keychain by including a short lanyard with the flashlight. The Solitaire also doesn’t sacrifice quality since it’s both impact and splash-resistant, suitable for any rigorous activity. Additionally, keeping the solitaire on will give you a good 1 hour and 45 minutes run time. 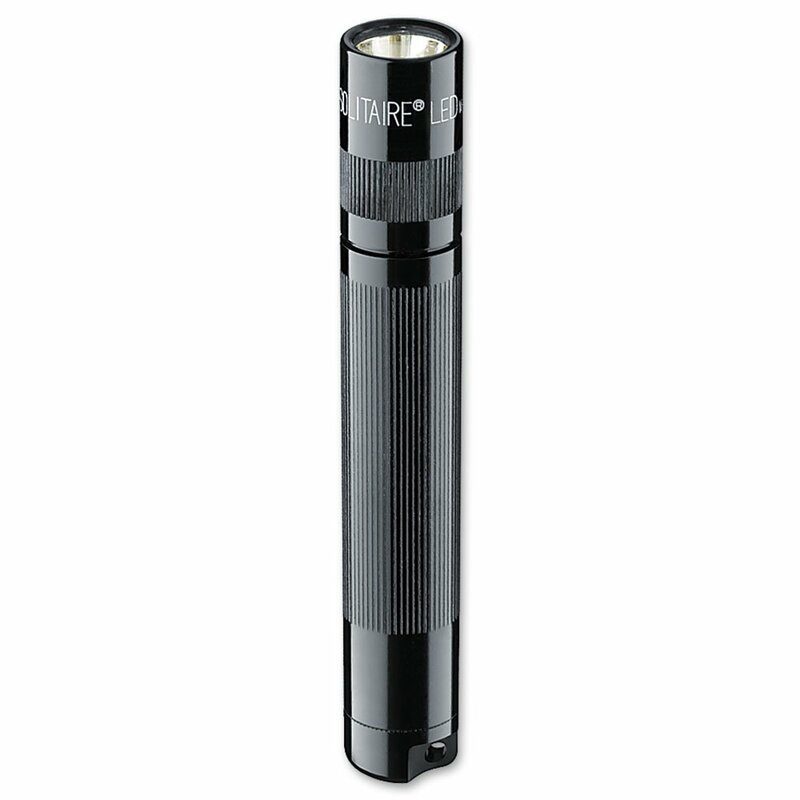 The Maglite Solitaire allows you to switch the light’s focus from a broad flood to a long narrow throw at a maximum output of 37 lumens over 50 meters.Yet, this powerful single-AAA flashlight can easily disappear in your pocket or keychain with its 3.1inch long frame and 1.6oz weight! Maglite even assumes that you will use the Solitaire as a keychain by including a short lanyard with the flashlight. An AAA flashlight is perfect for two kinds of customers. The first type is one who is looking for his first proper flashlight. This client may want to move on from his old D-cell flashlight or upgrading from his cheap plastic keychain light. Buyer 1 will primarily use his new flashlight for basic everyday tasks as well as a sharp tool for emergencies. Meanwhile, the other buyer is a flashaholic. Yes, that is a real thing. A flashaholic knows their flashlights. This buyer is in deep with lumens and candelas, carries their flashlights wherever they go, and feels a great pleasure shedding light in dark places. ​Being a flashaholic, Buyer 2 has a collection of torch’s but is looking to add one that is lightweight and portable, but doesn’t skimp on performance. Now, whether you’re Buyer 1 or Buyer 2, you won’t regret a good AAA flashlight. You’ll never have a problem replacing your flashlight’s batteries as Triple A’s are the most common cells and are virtually present in all supermarkets and convenience stores worldwide. Moreover, the prices of AAAs are incredibly affordable especially when you compare them to their more exotic kind powering high-tech torches. Although AAA flashlights may not be as bright as those that have rarer and more expensive battery types such as 18650’s or 14500’s, Triple-A flashlights still pack and punch particularly since the best models are quite efficient with their power. 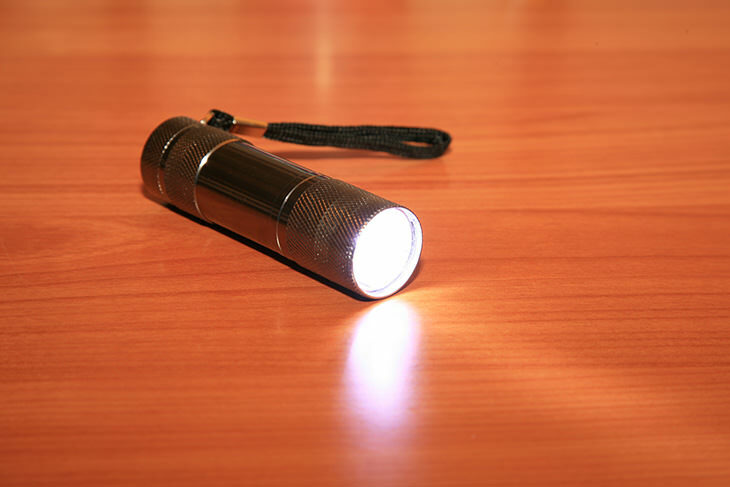 Triple-A flashlights may vary in size, but many of them are small and light enough that they can easily disappear in your pockets or go forgotten on your keychain until you need a light source. 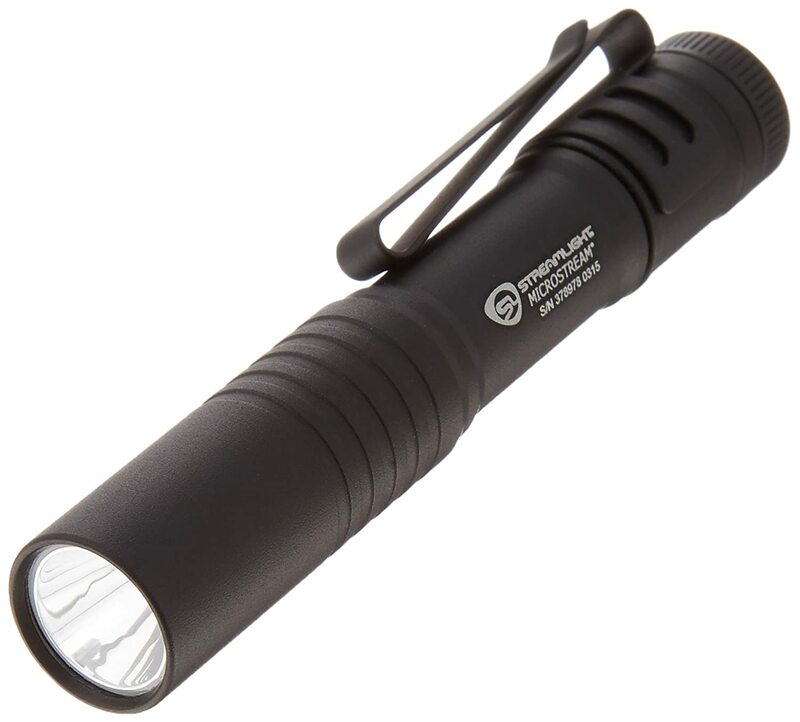 It’s most noteworthy that the best flashlight is the one you’ll have on hand when you are in need. Now that we know the value of AAA flashlights let’s now get into the factors you can check as you choose your next flashlight! ​Selecting a premium quality flashlight instead of cheap alternatives is always the best option. Why buy an inferior flashlight that will get weaker over time and won’t last very long when you can get a flashlight that will last you years with tiny degradation? 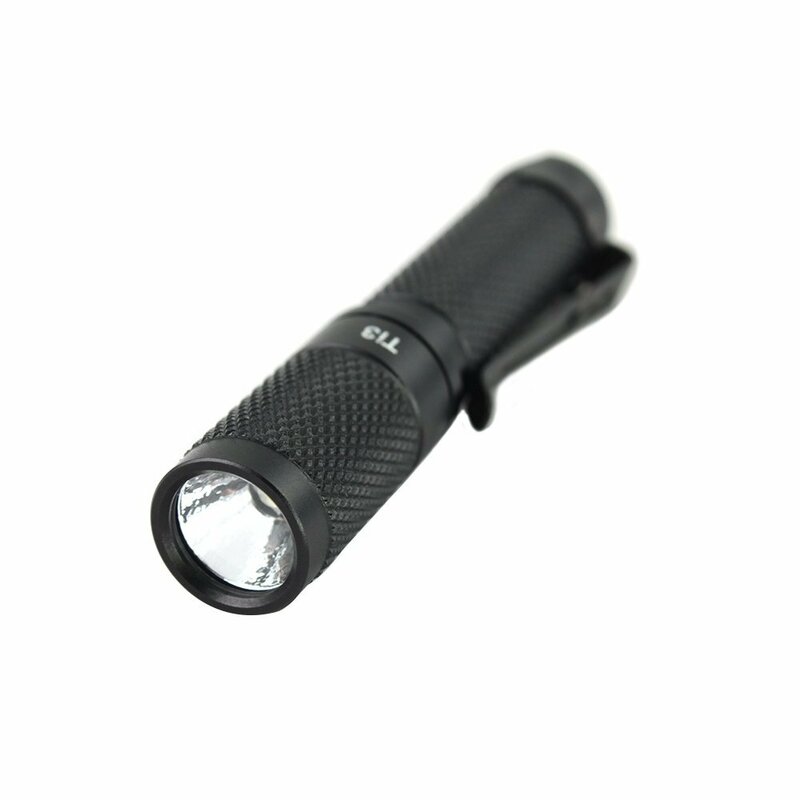 Besides their brand and price tag, you can often determine a flashlight’s quality by its material and weight. Although AAA’s are typically light, they still feel solid in your hand and have a more premium look than cheaper flashlights. A helpful, albeit non-universal, guide to remember when checking for quality is by determining the number of LED’s present in a flashlight. Usually, but not always, the cheap and low-quality flashlight will have multiple arrays of LEDs in small bulbs while premium quality LED flashlight would often sport a single LED with an excellent reflective surface around it. Due to their battery’s small size, AAA flashlight can range from the scale of a pen, hence the name Penlight, to something a little bigger than a single AAA battery. The size or shape that you will be choosing would then be subjective. So, think about what you’ll primarily use the flashlight for and if you prefer compact size over battery capacity. Manufacturers measure the intensity of a light source through lumens. In short, the higher the lumens, the brighter the light source and the stronger the beam. Additionally, one other factor you can consider is the temperature of the light that can either be cool (bluish) or warm (brownish). Specifically, LED flashlights emitting cold white light are more energy efficient while LED flashlights producing warm white light are usually gentler on the eyes and lets you see colors better. A standard of 75-85 lumens is adequate for general tasks without the blinding power of brighter outputs while staying efficient. On the other hand, approximately 150 lumens would be ideal as a higher brightness threshold especially for AAA flashlights that feature brightness switching. Flashlights can deliver either short wide beams or long narrow beams of light. The majority of flashlights, however, are a good balance between the two focus options and some flashlights feature switches to toggle between wide flood light and long throw beams. If on the other hand, you can choose, I’d recommend you lean towards flood light since long throw lights can be frustrating when you use them in smaller spaces. ​At times, AAA flashlights sport some extra features such as different brightness settings, various light colors, and strobe effects. The type of switch boils down to a matter of preference. 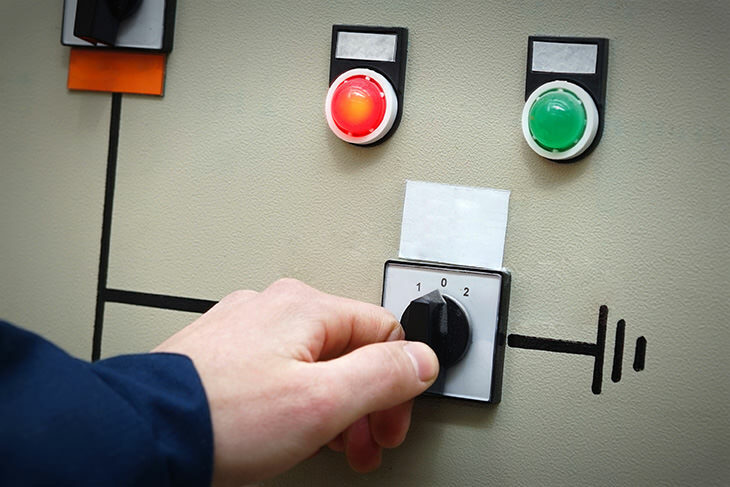 Some people are more comfortable using a flashlight with a twist switch while others prefer the click switch since there are less moving parts that can eventually deteriorate. High price is not the be-all end-all: The more expensive AAA flashlight is not strictly the best option. 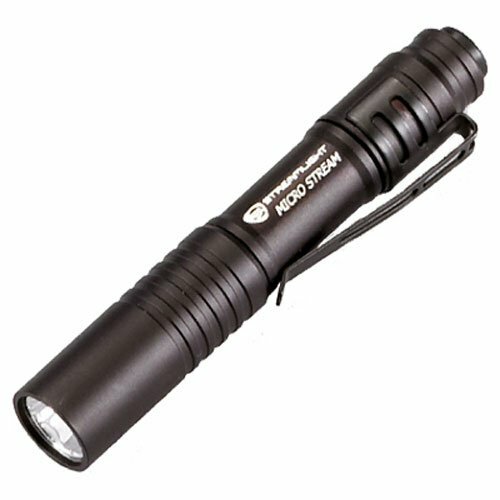 In fact, you can find great AAA flashlights at bargain prices. 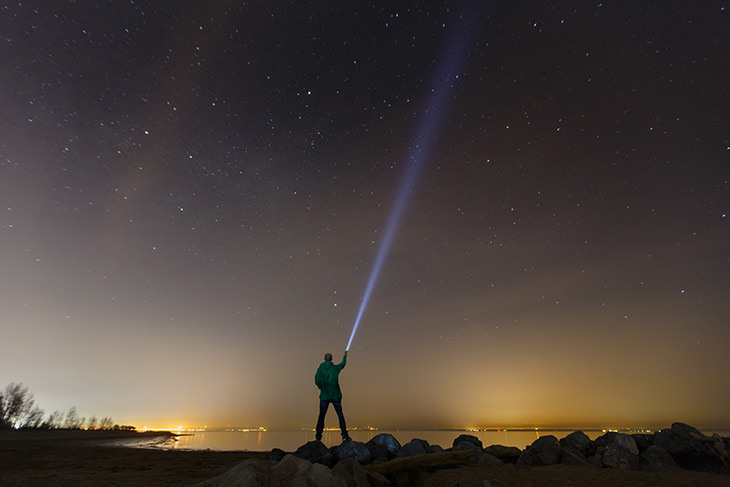 Brighter or bigger doesn’t necessarily mean better: A blinding AAA flashlight is not essential. Again, a torch within the 75-85 lumens range will be adequate for routine tasks. If you need higher or lower brightness options, consider getting an AAA flashlight that features switching among different light intensity outputs. Features galore: Extra features won’t make an inferior flashlight perform better. Hence, don’t sacrifice quality over the number of features that a flashlight may offer. If you could pick just one from our top 5, we recommend the powerful yet markedly compact Streamlight ProTac. Chiefly, the Streamlight ProTac may be small enough to disappear in the palm of your hand; it’s also powerful enough to brighten an entire parking lot over a long distance.